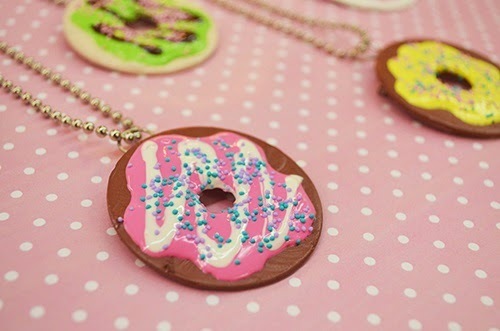 Being the true foodie that I am I thought it would be fun to make some yummy donut pendants using puffy paint and metal washers. I've been seeing a lot of donut fashion art lately and wanted to join this delicious trend! 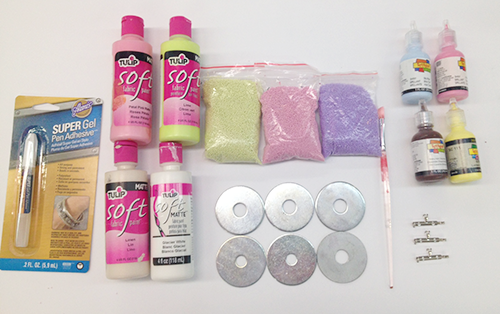 –Embellishments: Seed beads, micro beads, glitter, etc. 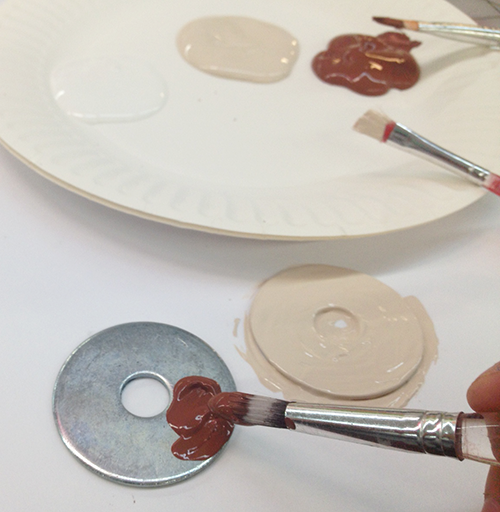 Apply a thick coat of Tulip Soft Fabric Paint to the washer in delicious donut shades like chocolate brown. It may take several coats to cover the washer compeltely. 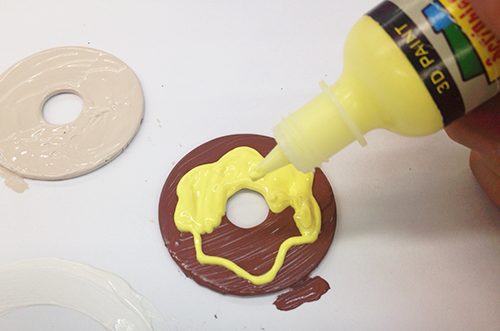 Using Scribbles 3D Paint add a bright layer of "frosting" to your donut. 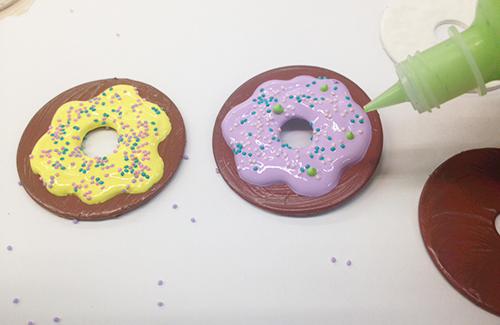 Give your donut some sprinkles using embellishments such as seed beads, micro beads, and glitter or throw on a drizzle of frosting using more Scribbles 3D paint. 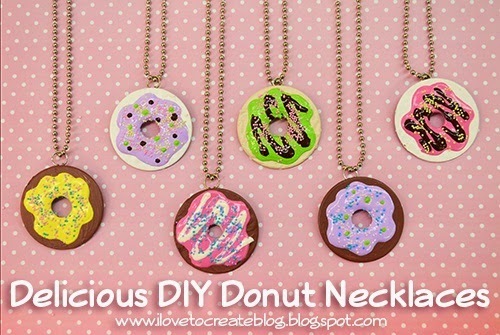 Allow your donut pendants to dry. Depending on how thick your layers of paint are this may take a full 24 hours. 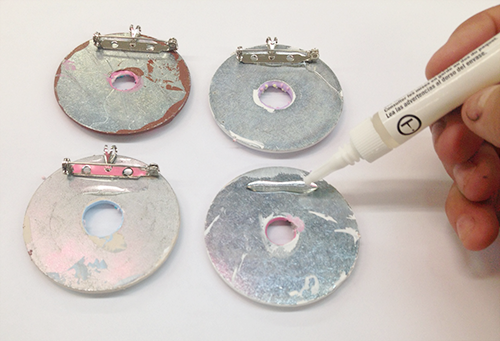 Once the pendant is dry, flip it over and use a small amount of Aleene's Super Gel Pen Adhesive to apply a necklace backing like these necklace back/pin combos. Let dry for one hour. I added jump rings slided ready-made ball chain necklaces to finish up! I'm definitely keeping the green one. I love how the icing turned out too! So cute and it looks real!!! 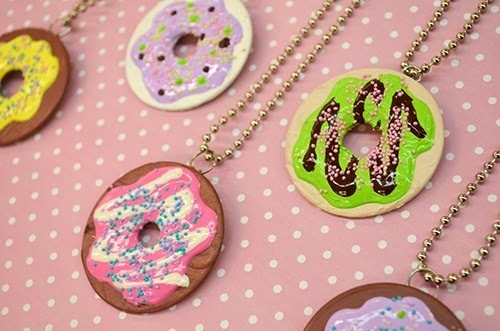 Your donut necklaces are now ready to wear! You are going to want to make a baker's dozen! May I inquire what company makes the necklace/pinback combos? Those are genius! They're called Pin backs with Bails and you can find them on Etsy or even Amazon but you'll need to order multiple quantities as most only give like 10 of them. Do we need to use the soft fabric paint or could we use acrylic paint for that step? 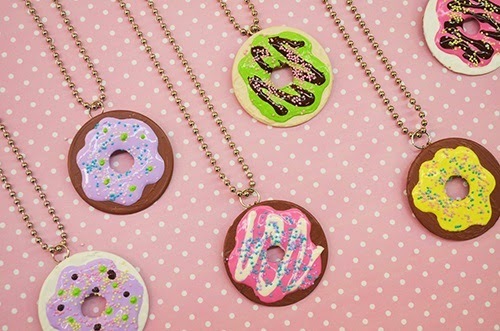 I absolutely love this idea for Donut Day coming up in June! I think I'll teach this in a jewelry class for kids/ teens. How deliciously sparkle-tastic! Will the paint adhere and stay on the metal washer or should we hit the washer with some fine sandpaper first? Thanks. I love doughnuts so i love them too.